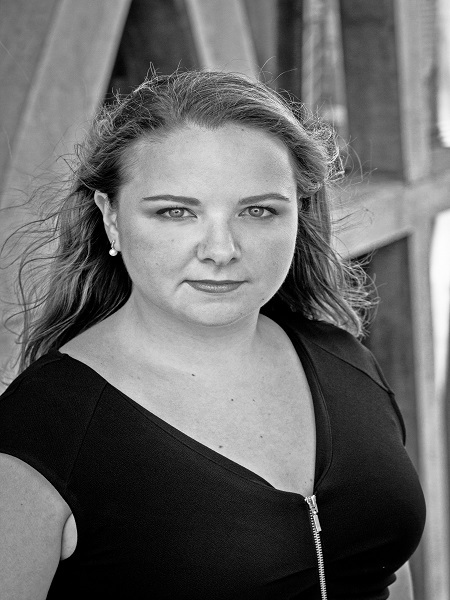 Philippa Boyle trained in Rome, at Conservatorio “Santa Cecilia”, graduating with full marks and distinction, and Santa Cecilia Opera Studio (Accademia Nazionale Santa Cecilia), where she studied with world-renowned soprano Renata Scotto. Prior to her studies in Italy, Philippa read Classics at Clare College, Cambridge, where she was a choral scholar. Winner of the Emmy Destinn Young Singer Award for Czech opera and song, Philippa has performed at Aix-en-Provence Festival, Beijing Music Festival, Munich Opera Festival and Innsbruck Early Music Festival. Opera roles include Tosca for King’s Head Theatre; Cathleen, Vaughan Williams Riders to the Sea (Wexford Festival Opera); cover Cockerel, Janáček The Cunning Little Vixen, semi-chorus, Brett Dean Hamlet (Glyndebourne Festival Opera); Alice Ford, Verdi Falstaff; Donna Anna, Don Giovanni; Giorgetta, Puccini Il Tabarro, Giunone, Cavalli La Calisto. Oratorio engagements include Verdi Requiem (Bournemouth Symphony Orchestra, Leeds Town Hall; King’s College, Cambridge; Sheldonian Theatre, Oxford; Southwark Cathedral, Fulda Cathedral, Germany); Beethoven Missa Solemnis (Snape Maltings, St Albans Cathedral); Britten War Requiem (Oxford Town Hall); Handel Messiah (York Minster; Auditorio Manuel de Falla, Granada, Spain).